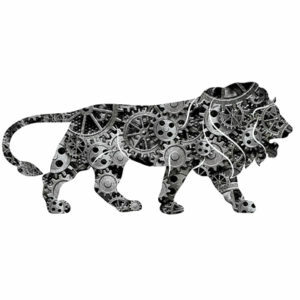 The mission of the Make In India campaign is to manufacture products in India for the Indian market, as well as, to export them anywhere in the world. The campaign is focused on helping, as well as, attracting companies to invest and set up their manufacturing units in India. This campaign’s initiative is to promote certain sectors to target the youths. These are youths, who are basically coming up with new innovations along with new entrepreneurship skills. This in turn will lead to investing, as well as, manufacturing in India. Under this initiative, companies across the world are brought here to create factories by making investments, as well as, expanding their businesses in India. The total number of targeted sectors are 25, which includes automobile, textile, power, tourism, telecommunication, pharmaceuticals, etc. The Make In India campaign will actually lead to an increase in exports, as well as, overall manufacturing. The increased exports will improve the economy, which in turn, will transform this country into a global hub of manufacturing through global investment by using the most current & updated technology. Manufacturing is also likely to boost India’s economic growth. It will help in creation of huge job opportunities. It is estimated that around 10 million people are likely to get jobs. Plus, an increase in investment will bring employment opportunities for the skilled labor force, which in turn, will form a large organised job market. The Indian government is running skills development programme for the people in the rural areas, as well as, in the urban areas who fall under the poor category. The programme will lead to generation of more skilled workers. The major key areas of this skill training will consist of painting, masonries, welding, etc. The list id endless. Certifications will also be issued in order to set the training standard. Make In India will definitely welcome more FDI. The current government had promised to improve the ease of doing, as well as, running businesses in India. It is going to attract large amount of FDI into the country. Through this mega project many more companies are looking to set up factories. In fact, a unit known as “Invest India” is in the process of being put to place. This unit will be under the supervision of the department of commerce and is available at any time to make it easy to carry out regulatory clearance. This will be done within the shortest time possible thereby ensuring that businesses are run in India much more easily. Many companies are already taking advantage of this opportunity. One particular example that come to mind is Sara International, which makes bags, slippers, fabrics from environmentally friendly reusable material like jute, cotton, juco, etc. They have their manufacturing base in India. They sell in India & export them throughout the world as well.